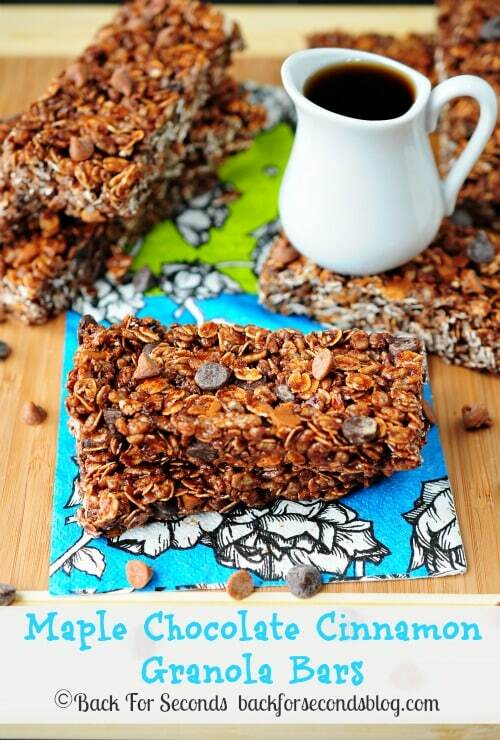 This recipe for Maple Chocolate Cinnamon Granola Bars is so simple and takes about 10 minutes to make. The flavors are deep, rich, and spicy – like nothing you can get from a box! 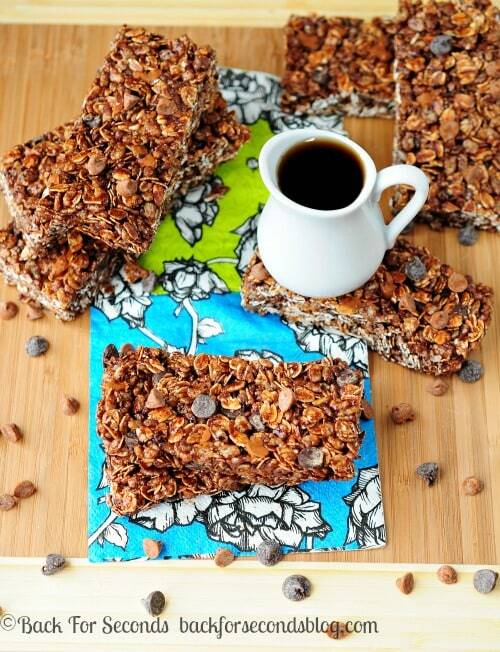 This was my first time making granola bars, and it was so easy I wonder why I didn’t do it sooner! The recipe is simple and easy to change up according to what flavors you like or what you happen to have on hand. I decided on Maple Chocolate Cinnamon Granola Bars. You can’t get that from a box! They are nice and chewy, just the way I like them – and there is no baking required! Yay! These bars have a double dose of chocolate, which is perfect for a chocoholic like me 🙂 The cinnamon chips add a spicy sweetness that I just love. Cinnamon and chocolate is such a lovely combination. The maple syrup adds just a subtle flavor, but it’s just enough to notice that there’s something different and wonderful about these granola bars. 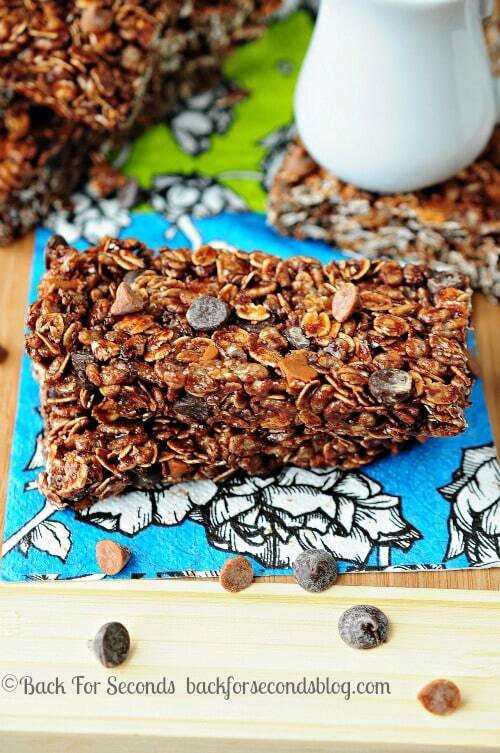 I hope you try these Maple Chocolate Cinnamon Granola Bars! You will love them! Recipe adapted from Chocolate Chip Granola Bars from Heather’s French Press.